Win a roll cage, roof rack, rally experience or FIA harness! Enter our best competition yet! A 1954 Land Rover Series 1, custom built for Sir Winston Churchill's 80th birthday, has sold at auction in Cambridgeshire for £129,000 - more than twice its expected price of £60,000. Innovative F1 race doctor and first President of the FIA Institute, Professor Sid Watkins, passed away on 12 September 2012. 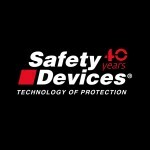 Safety Devices extends condolences to the Watkins family and friends.